WEIGHT APPROX 150 LBS. PR 1/2 CU. YD. This item is available in our Camarillo, Saticoy and Simi Valley locations. Pricing may vary depending on location. Bark is a virgin wood or bark that comes from Fir trees and provides the perfect complement to any beautification project. Bark varies in size and color when used as a top dressing, providing an almost infinite variety in the final look and style. We proudly offer many different bark sizes including our most popular types, Walk-on-Bark and Acorn Bark. Walk-on-Bark is red in color and 1/4"-3" in size with some bark chips. 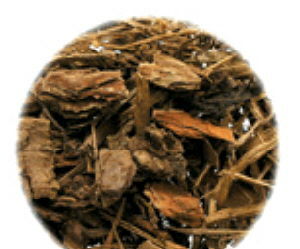 Acorn Bark is also red and 1" in size and is 95% bark. * Please call us with any questions about our walk on brk pr 1/2 scoop in Camarillo, Simi Valley, Oxnard, Santa Paula, Saticoy, and Ventura County.